Store your files in the Cloud, not on the machine. Enjoy fast performance and easy maintenance with the Samsung Chromebook 2. This slim, lightweight laptop features a 11.6-inch HD display, a powerful Exynos 5 Octa processor, an elegant leather-like stitched design, and up to eight hours of battery life on a single charge. It boots up in just 10 seconds and delivers Wi-Fi speeds three times faster than standard 802.11n. 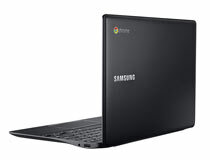 Image optimization and noise reduction* improve video chatting, while security features like automatic updates and sandboxing technology protect your Chromebook from viruses and malware. This laptop comes with AirDroid Premium, Wunderlist Pro, and Little Bridge software. 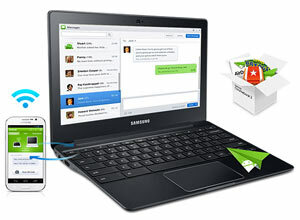 Convenient software pack includes AirDroid Premium, Wunderlist Pro, and Little Bridge. Connect via HDMI, USB 3.0, and more. Exceptional processing speed and long battery life. At 0.66 inches thin and weighing less than 3 pounds, the Chromebook 2 is slim and lightweight, making it easy to take anywhere. 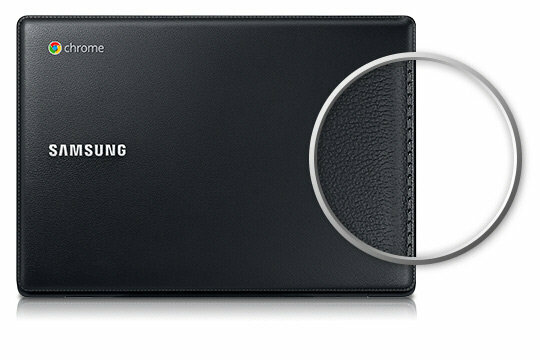 Its textured, leather-like cover with stitching along the edge is comfortable to hold. And the keyboard's curved keycaps allow for faster, more comfortable typing. 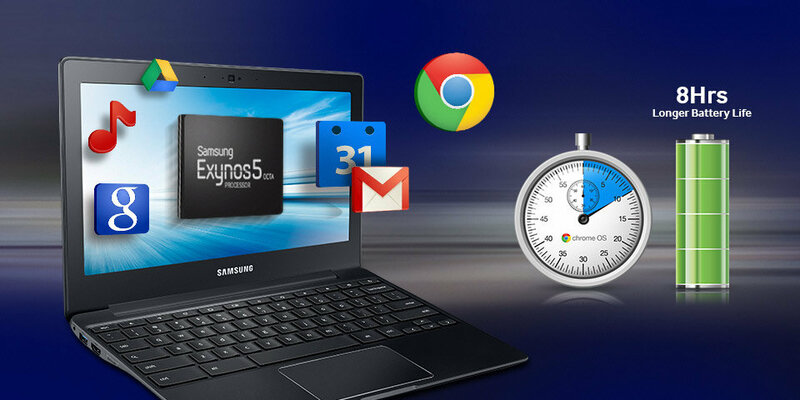 Booting up in as little as 10 seconds and waking in 1 second, Samsung's fast Exynos 5 Octa processor lets you spend less waiting and more time enjoying your Chromebook. With 802.11ac** Wi-Fi, which provides speeds up to three times faster than 802.11n, you can stream HD movies, videoconference, post social media updates, and multitask with ease. 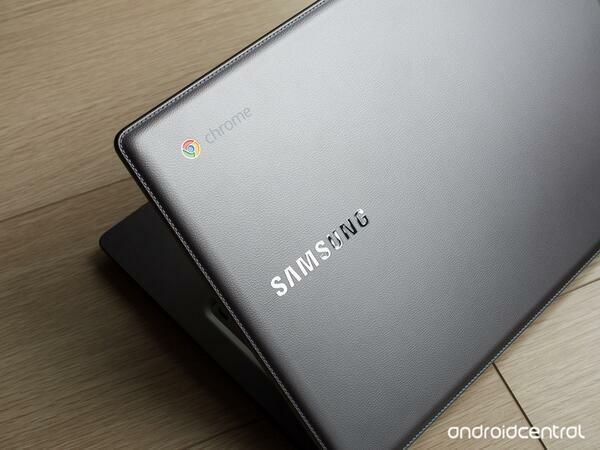 And thanks to its eight-hour battery life, you can use your Chromebook all day long without charging. 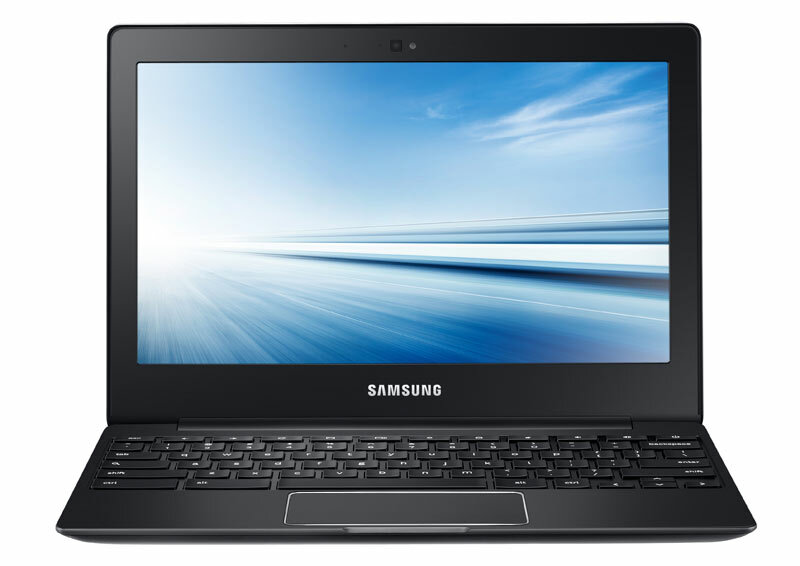 Whether you're watching a movie or video chatting with friends, Samsung Chromebook 2 offers a variety of features specially designed to enhance your experience, including two high-power speakers, exceptional real-time video delivery and playback, advanced image optimization, and noise reduction. A convenient software pack includes AirDroid Premium, Wunderlist Pro, and Little Bridge. 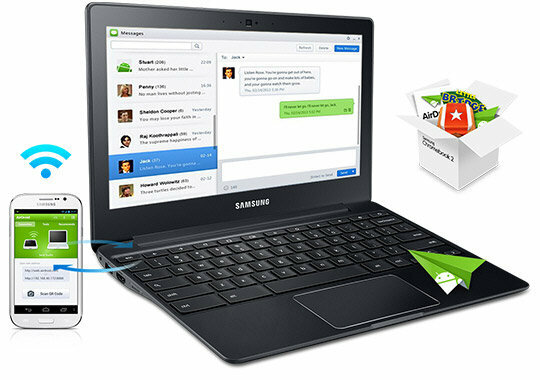 With AirDroid Premium, you can use your Chromebook to manage your Android devices on the web. Transfer files, SMS, and manage photos and music, all in one place. Wunderlist Pro allows you to synchronize your to-do lists in real time with your coworkers and family, perfect for sharing grocery lists or project updates. Designed for children and adolescents, Little Bridge is a complete online English course where you can make new friends in a virtual 3D world. The Chromebook 2 is designed with built-in security features to protect your laptop from viruses and malware. It utilizes sandboxing technology to keep your operating system and apps separate, ensuring viruses can't cross-infect. It also automatically installs updates for Chrome OS and your web apps, so you never have to worry about having the latest version. Plus, 100 GB*** of free Google Drive storage keeps your files safely backed up on the cloud. 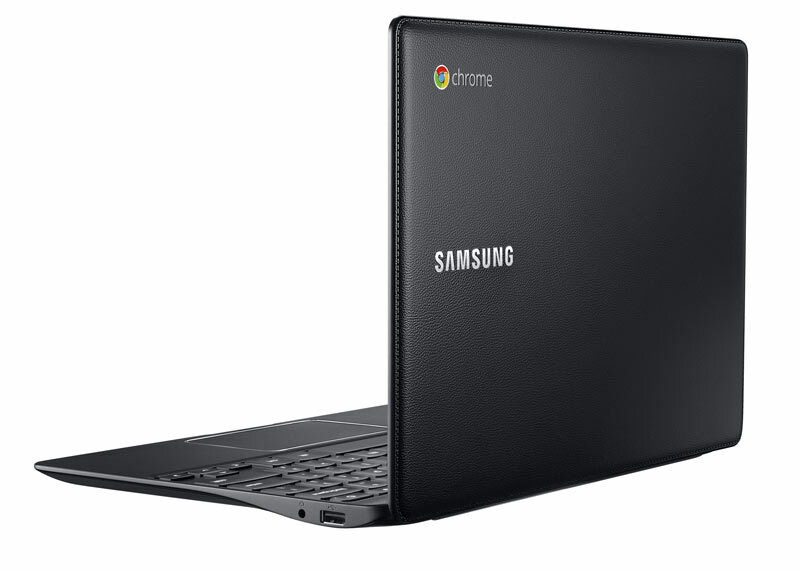 Samsung Chromebook 2 comes installed with Google Chrome OS, has an 11.6-inch LED HD display, and contains an Exynos 5 Octa 5420 processor. It includes USB 2.0 and 3.0 ports, an HDMI port, a microSD card slot, and a headphone port. This laptop offers 4 GB of system memory and 16 GB of storage. It measures 0.66 by 11.4 by 8.06 inches (H x W x D) and weighs 2.65 pounds. *Feature available with compatible software. **Also supports 802.11 a/b/g/n. AC feature available with compatible software. ***100 GB of free storage is valid for two years, starting on the date you redeem the Drive offer. Out of box or refurbished devices may be ineligible. Claudio Stabile added 12 photo(s).